At one time, the Great Central Railway crossed north-south over the line at this point, but there are no signs of any bridge, though the route can still be traced through the fields on either side. This railway, when it opened in 1899, was to be the last main line twin track railway to be built in Britain (link) until the Channel Tunnel rail line, HS1. 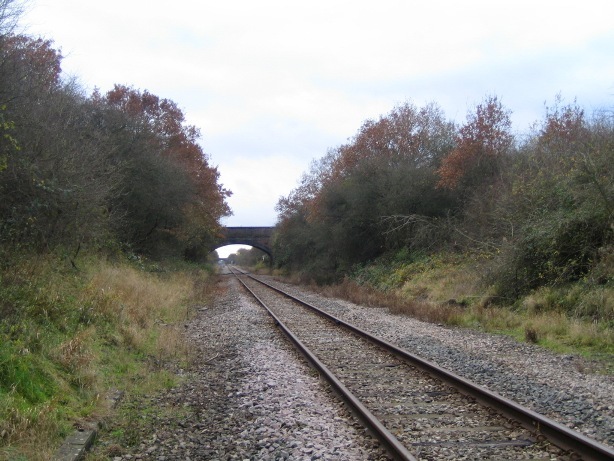 The Great Central Railway ran between Sheffield, Nottingham, Leicester and London Marylebone, but it was closed in 1966 under the Beeching axe, it being viewed as an unnecessary duplication of other lines which served the same places. This photograph, which was taken in almost the same spot as today’s picture above, shows the completed bridge in 1897. 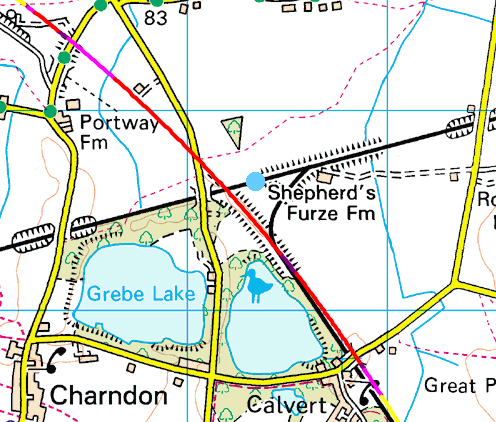 This map shows the former Varsity Line in black, crossing east to west, and the route of the Great Central Railway overlain in red with the route of HS2, running south-east to north-west. The blue circle marks the spot from where, looking west, the top photograph was taken. But this spot is exactly where phase one of the high-speed rail line, HS2, between London and Birmingham, will cross EWR in 2026. But this time, though the new railway will be following the route of the Great Central Railway, it will go underneath what used to be the Varsity line in an 8m cutting, rather than over it, with trains running at up to 360kph (224mph) at this point. 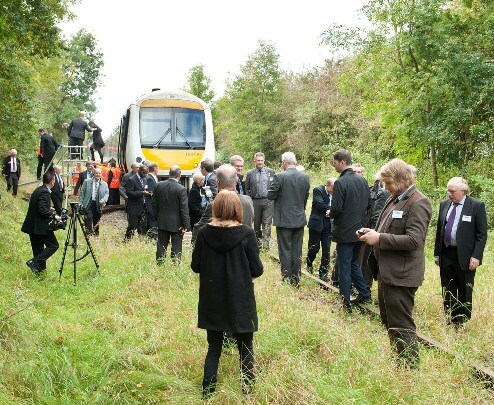 And the land to the right of the top photograph will be the site of the HS2 Calvert infrastructure maintenance depot with links to both HS2 and EWR.